Jean-Pierre Mangan writes, "There is no bay open to the sea at the eastern base of Cape Corse, but the Buguflia Lake." Guide Mondial des Timbres Erronés, vol. 1, p. 285. 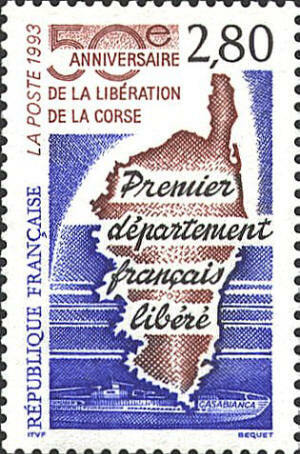 The map on the stamp, issued by France in 1993 to commemorate the liberation of Corsica in 1943, is in error in showing an opening at the eastern end of the lake.